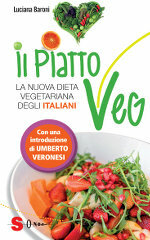 The VegPlate is a collection of tips and suggestions to construct an optimal diet based on plant foods, for your health. The VegPlate does not contain specific "prescriptions" for vegetarians to avoid "deficiencies" with respect to the widespread omnivorous diet. On the contrary, a plant-based diet is certainly healthier than that based on animal foods, and the VegPlate indications are rather intended for those who want to use their diet as a means to personally deal with their health: as prevention against the development of chronic diseases, and as a way to ensure daily well-being and health. From this point of view, they serve all individuals: not only vegetarians but also, and above all, who is still an omnivore, because in either case a healthy diet is based on plant foods, as all international guidelines point out. Continue reading to find out what the VegPlate is, who needs it and how it works, then you will continue by examining th servings diagram, which explains to how much a serving of the various plant-based food groups corresponds; after which, you can find out how many servings of each group to consume, depending on individual requirements, including the case of pregnancy and lactation. The weekly sample menus will help you understand how to make a tasty and healthy 100% plant-based menu. 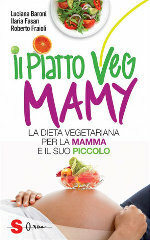 For children undergoing weaning there is a specific plan, different from that of the adult, called VegPlate Baby. Lastly, you can increase your knowledge of the main nutrients that are present to a greater or lesser extent in plant foods.